There is no doubt that smoking is harmful. Tobacco is thought to kill nearly 6 million people every year, but do electronic cigarettes provide the answer to this assault on the nation’s health? As with conventional cigarettes, there is often an information deficit on the chemicals that electronic cigarettes contain and although some just use flavoured water vapour, others can contain a cocktail of chemicals including nicotine of varying concentrations and quality. E-cigarettes have emerged onto the UK market relatively unregulated. In countries such as Brazil, Norway and Singapore they have been banned entirely or are only available as a regulated medicinal product. From 2016 the UK will follow New Zealand’s example and license e-cigarettes as a medicine so all e-cigarettes on the UK market will have to prove their quality, safety and effectiveness to the Medicines and Healthcare products Regulatory Agency. Is this really an appropriate response to a product which already appears to be used reasonably safely by 1.3 million people in the UK? If we look at the quality of electronic cigarettes then the answer is undoubtedly yes, more regulation is needed. Currently, the content of nicotine and other chemicals varies widely between individual e-cigarettes, and the quantity of nicotine delivered does not always match up to the amount advertised. There is also little way of knowing whether your favourite e-cigarette contains pure pharmaceutical grade nicotine or cheap pesticide grade nicotine laced with impurities. Worryingly, in the United States the Food and Drug Administration found traces of the poison diethylene glycol in one batch e-cigarettes. Although some harmful chemicals have been found in e-cigarettes, far more are inhaled during tobacco smoking and at least 5,300 individual chemicals have been identified in cigarette smoke – this is compared to only approximately seven mostly benign chemicals found in e-cigarette vapour. When you compare using e-cigarettes to not smoking at all, however, the picture is less clear cut as e-cigarettes still contain nicotine, and nicotine itself is harmful. The chemical has been linked to the constriction of coronary vessels, irregular heart rhythms and inflammatory changes that cause hypertension and clogged arteries. It may also have a role in the development of bladder cancer, lung cancer and liver fibrosis. Use of nicotine replacement therapy during pregnancy has been shown to have a negative effect on babies’ lung development making them more prone to asthma in later life. Continuing to smoke e-cigarettes is clearly not as safe as giving up smoking entirely. At the moment, e-cigarettes also give smokers a way of flaunting UK smokefree legislation and allow them to puff away on public transport, in pubs, offices and even on some airlines. Recent studies have shown the vapour exhaled by e-cigarette users may not be as harmless as it first appears leading to concerns about ‘passive vaping’. E-cigarettes expose nearby non-smokers to nicotine and other chemicals although, admittedly, at much lower levels than those seen in passive smoking. Whether this represents a significant health risk is not yet known but it is one of the reasons that the British Medical Association has called for smokefree legislation to be extended to include e-cigarettes. Their other argument is that allowing e-cigarettes to be used in public spaces re-normalises the idea of smoking. Nothing says ‘socially unacceptable’ quite like the huddle of smokers outside the pub on a dark and rainy night. Allowing smoking to come in from the cold, even in the form of an e-cigarette, could remove some of the impetus for people to quit, harming attempts to get people off nicotine for good and even encouraging new smokers. The main benefit of licensing e-cigarettes as an over-the-counter medicine has been in helping smokers quit; an area in which they show a lot of promise. 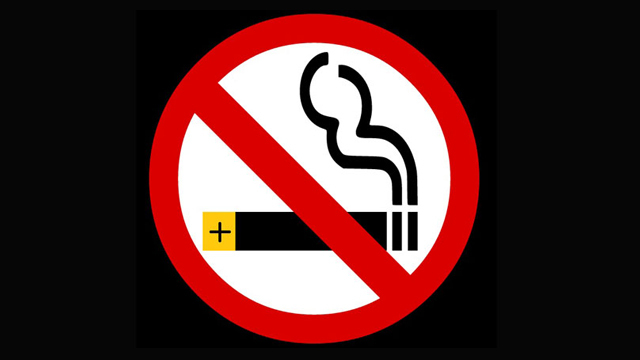 Studies have concluded that the physical act of smoking appears to reduce cigarette cravings even when no nicotine is inhaled. Cigarettes with the nicotine removed can relieve cravings and in some cases are more effective than nicotine inhalers in curbing the urge to smoke. In addition, a recent survey of 10,000 adults conducted by the public health charity Action on Smoking and Health found that 1 in 5 e-cigarette users had used electronic cigarettes to successfully quit smoking. The ASCEND study in New Zealand is currently comparing the effectiveness of e-cigarettes against traditional nicotine patches and will publish its results in September this year. Given the harmful effects of nicotine, e-cigarettes can never be considered as a safe alternative to smoking, but licensing them as a medicine will send a clear message that they can be successfully used as a quitting aid and hopefully help more people turn their backs on nicotine addiction.